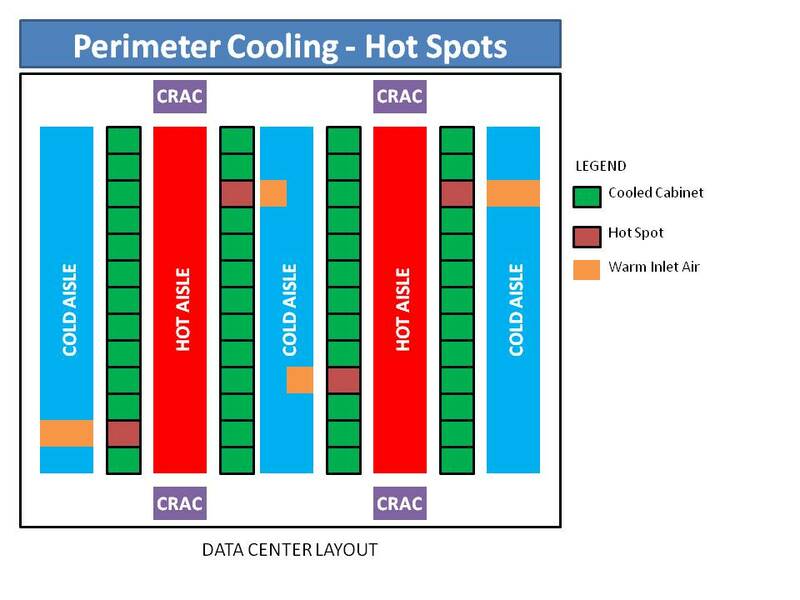 As servers become smaller and denser, large data centers are having a problem with “hot spots” popping up throughout the rows of computer cabinets. 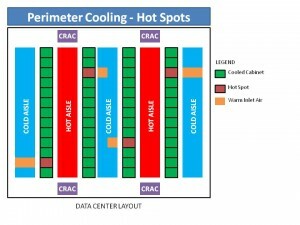 This situation is especially true in data centers that use perimeter computer room air conditioners to cool the data center. The MRCS13 & ECC13 work well within the rows of computer cabinets to cool down these “hot spots.” The air conditioned server racks bring the cooling directly to the heat source, eliminating the path that the cold air has to travel to reach the front inlet grilles of the computer equipment. Perimeter computer room air conditioners are located around the data center’s outside wall, making the path for cold air to travel very long with several opportunities for warm air to mix with cold supply air to lower it’s efficiency. The Uptime Racks are designed for a Cold Aisle / Hot Aisle configuration, providing a cold blanket of air directly in front of the servers above, eliminating the chance of the cold air to mix with the hot air in back of the computer cabinet. The installation of the MRCS13 & ECC13 can be done in minutes, within a row of computer cabinets or at the end of a row, wherever the “hot spot” is located.